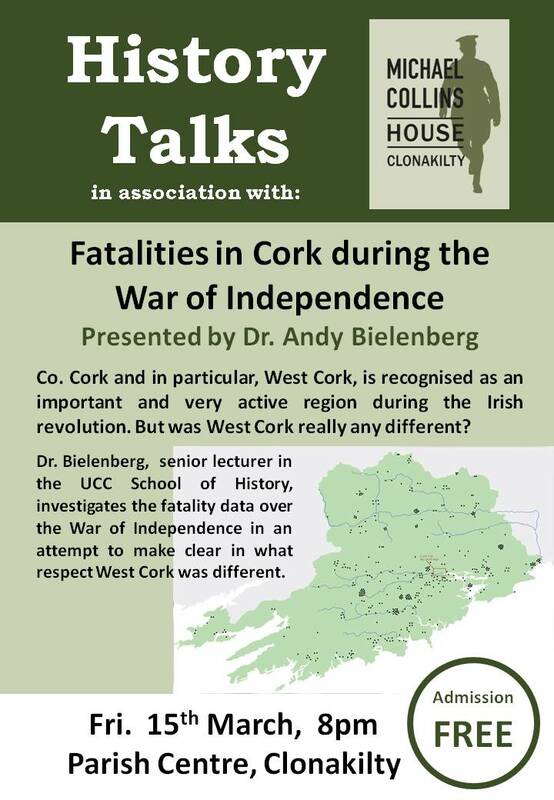 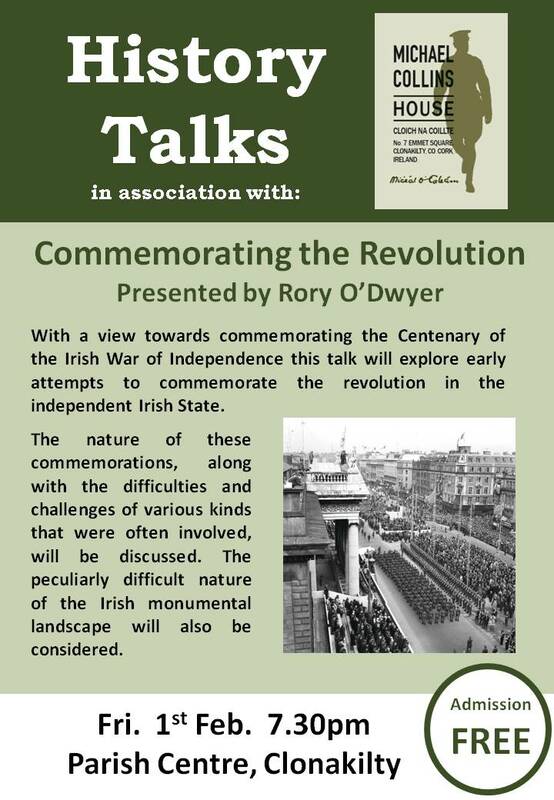 History Talks looks at how the Revolution in Ireland has been commemorated in the past with a view of how the current commemorations will develop. 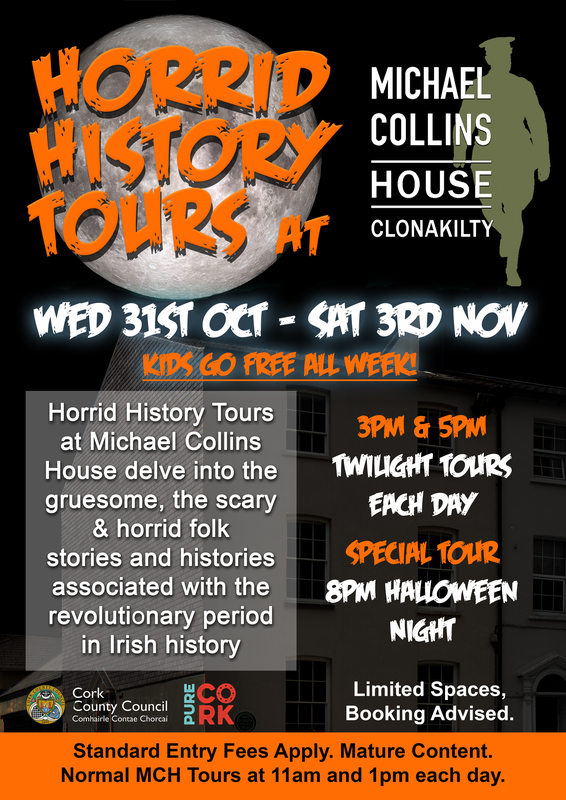 Horrid History Tours at Michael Collins House delve into the gruesome, the scary and the horrid histories and folk stories associated with the revolutionary period of Irish history. 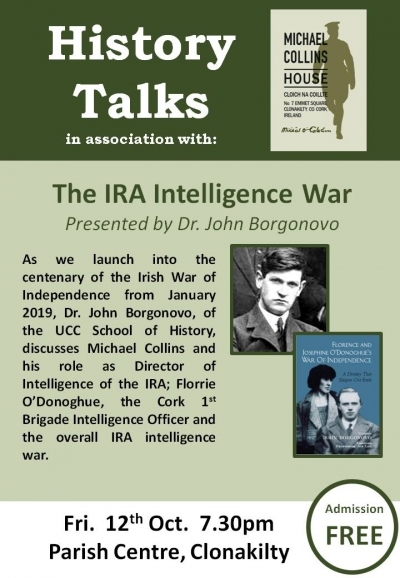 History Talks: The IRA Intelligence War presented by Dr. John Borgonovo. As we launch into the centenary of the Irish War of Independence from January 2019, Dr. John Borgonovo, of the UCC School of History, discusses Michael Collins and his role as Director of Intelligence of the IRA; Florrie O’Donoghue, the Cork 1st Brigade Intelligence Officer and the overall IRA intelligence war.7.30pm Clonakilty Parish Centre. 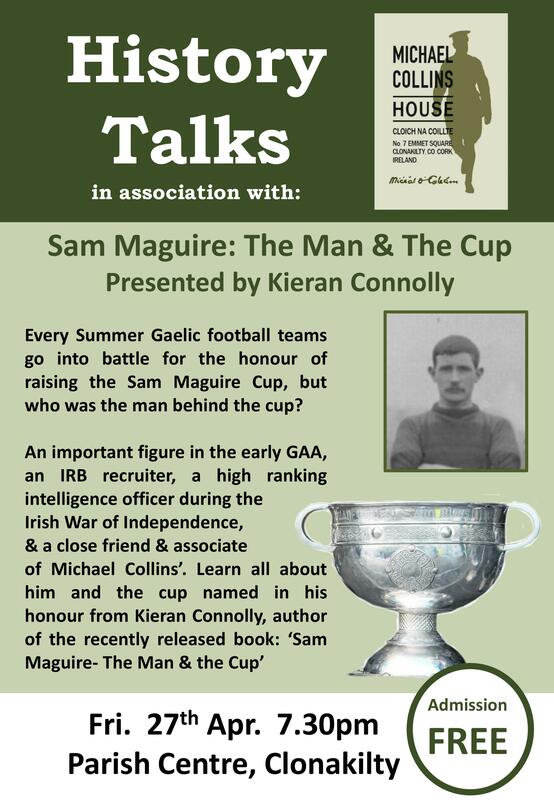 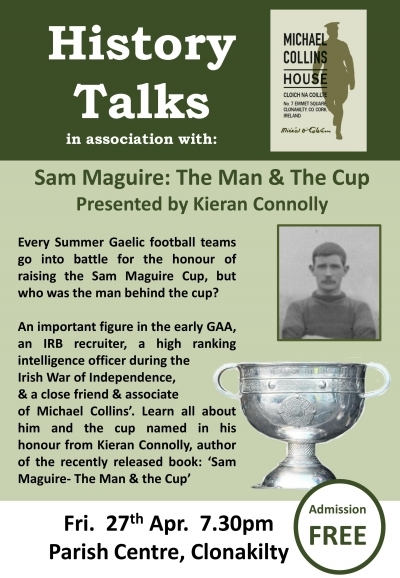 Fri 12th Oct. FREE Talk, Everyone Welcome. Michael Collins was well known for having a sweet tooth; sugary tea, cream buns and sweet treats were a favourite. 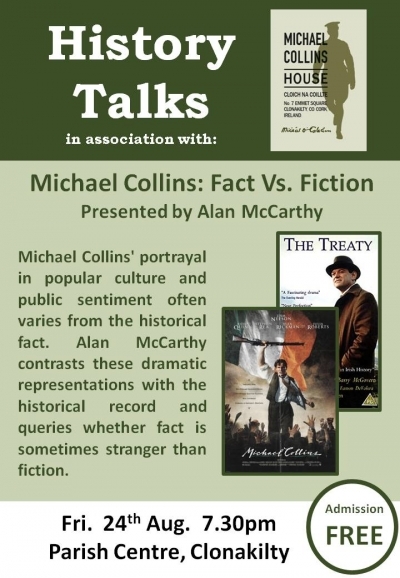 As part of A Taste of West Cork Festival, join us at Michael Collins House for a guided tour followed by tea/coffee with some locally produced sweet treats in our dining room after the tour. 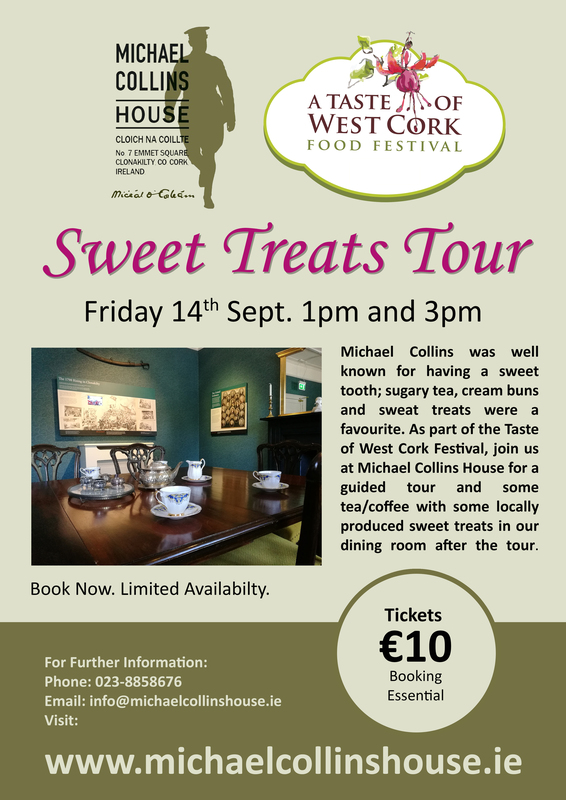 As part of A Taste of West Cork Festival, join us at Michael Collins House for a guided tour followed by tea/coffee with some locally produced sweet treats in our dining room after the tour. 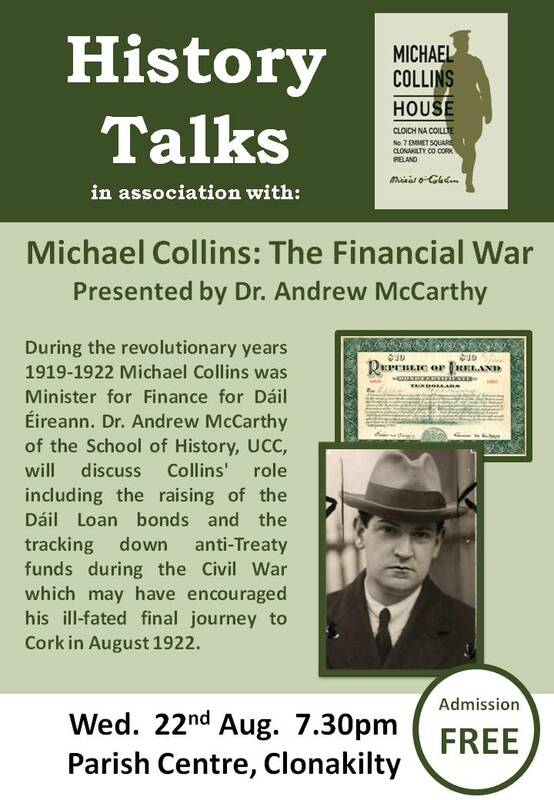 History Talks: The Financial War presented by Dr. Andrew McCarthy discusses Michael Collins role as Minister for Finance .